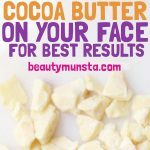 Top 10 Beauty Benefits Cupuacu Butter For Hair, Skin & More - beautymunsta - free natural beauty hacks and more! Cupuacu butter is similar to cocoa butter and comes from South America, as well. 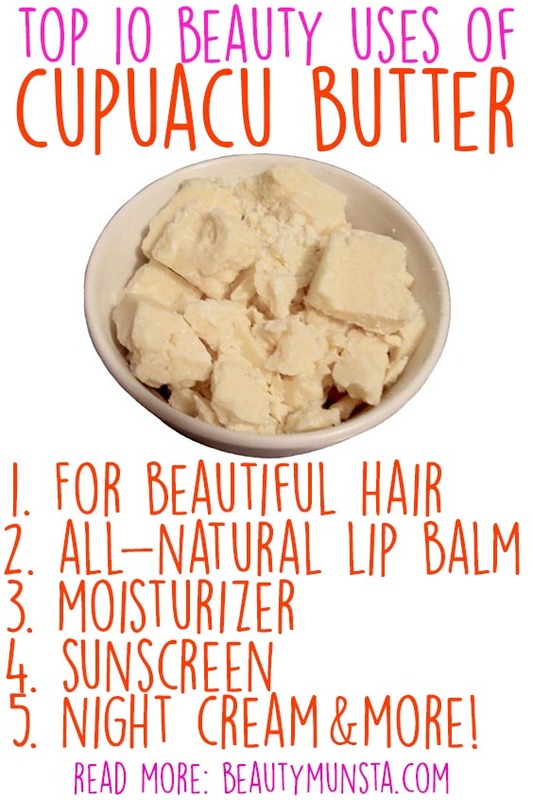 There are so many beauty benefits of cupuacu butter that can make your skin and hair beautiful and healthy. 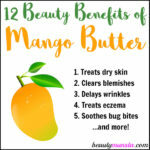 Moreover, cupuacu butter is popularly known as a vegan alternative to beeswax in DIY beauty products. Cupuacu butter owes its origin to Cupuacy tree, which is found in the northern parts of the Amazon Rainforest in South America. It has a delicious chocolaty smell, somewhat similar to the cacao tree from which chocolate originates. The Cupuacu tree is abundantly grown in other parts of South America and its fruit is widely used by natives for generations together to make ice cream, candies and juices. The fruit falls freely from the trees during the heavy rainy season and its seeds are subsequently cold pressed to form cupuacu butter for commercial sale and use throughout the world. What Are The Properties Of Cupuacu Butter? The cupuacu fruit is highly creamy in nature and the butter that is derived by grinding its seeds is full of very powerful antioxidants and vitamins that work wonders for the hair, skin and the body in general. Its high phytosterol content helps treat damaged and dry skin by enhancing collagen production in the dermis. Additionally, cupuacu butter also stabilizes skin emulsions to keep your skin looking healthy and young. Applying cupuacu butter to dry and chapped lips provides instant relief and is a great natural substitute for commercially made chap sticks that may contain harmful steroids that prevent the body from naturally rehydrating itself. Regular application of cupuacu butter-based products will help you straighten frizzy hair and also soften it considerably. Its powerful hydrating properties naturally moisturize brittle hair and help it regain a natural smoothness and shine. Cupuacu butter has proven to be a terrific anti-aging toner and most effectively tackles premature wrinkles that appear around the forehead and eyes. Its high anti-oxidant content combats all free radicals in the skin that gives rise to such unsightly wrinkles. 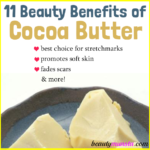 The butter hydrates the skin by over 240% when applied directly as a skin cream. 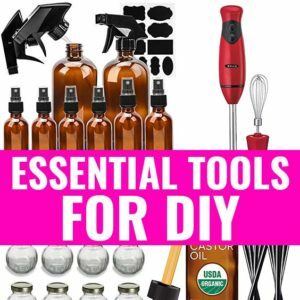 This makes it an ideal remedy as a moisturizer for those suffering from dry skin conditions. Cupuacu butter’s high stearic and oleic acid levels make it a strong emollient which helps improve skin elasticity and prevents premature skin aging. 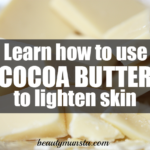 Regular application of the butter after a shower enhances the skin’s collagen production and makes it look younger also. For those whose hair growth is slow, it is advisable to massage cupuacu butter to the scalp regularly as a hair mask. It not only moisturizes the hair but also acts as food for the hair follicles to make hair grow faster ultimately. Cupuacu butter’s high Vitamin E content protects the skin from the sun’s deadly UV rays. This makes it an ideal sun screen that not only protects the skin but nourishes it, too. Cupuacu butter also treats certain typical skin problems like psoriasis, skin swellings caused by insect bites and rosacea also. 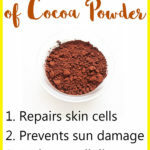 It works well in contact dermatitis conditions also where skin allergies break out due to contact with garments or other external factors that induce the allergy. Massaging cupuacu butter on the face at bedtime everyday as a night cream works wonders with your skin. As you sleep cupuacu deeply moisturizes and nourishes the skin, speeding up healing and restoration during the night. As you wake up the following morning, you will find your complexion more youthful and radiant. A weak immune system often leads to multiple hair and skin problems. 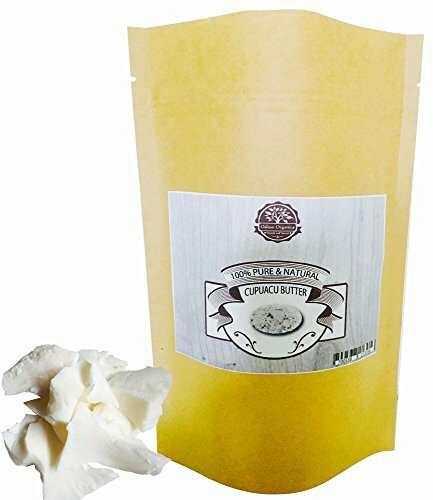 Regular consumption of cupuacu butter is known to lower blood cholesterols and boost the overall system to prevent and/or fight multiple dermal and hair problems. This is because of its rich antioxidant and Omega fatty acids content. Buy only high quality cupuacu butter to enjoy maximum benefit.